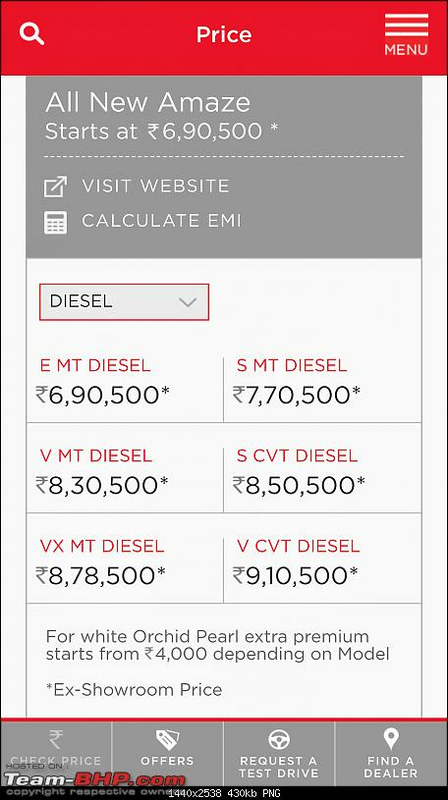 My V CVT Diesel is one among the 10000+ dispatches of July I found a lot of value in this car vs other cars in the same price band. While many have difference of opinions on the shape, I think Honda has tried to design something acceptable with the restrictions of 4 metre and also providing interior space for the occupants. There is no car which is 100% perfect and there are compromises every where, so it is all right. Honda claims the Nr. 3 slot in July sales (PV) after a very long time. Dispatches 19970 units, of which Amaze contributes to more than 50% of total sales. Last edited by volkman10 : 1st August 2018 at 20:38. Yes, Honda sold 10180 units of Amaze in the month of July. Very very impressive, and looks like Dzire competitor is finally arrived. Ex-showroom prices have gone up by around 20,000 on an average. 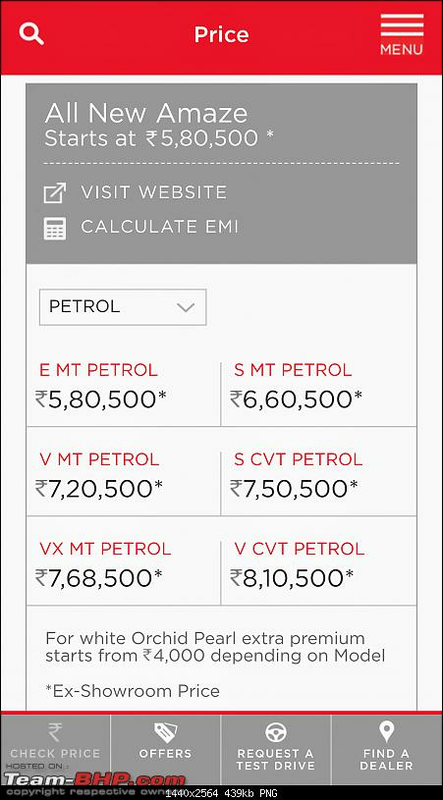 Starts at 5.8L for the petrol and 6.9L for the diesel Amaze now. Introductory prices are a good marketing gimmick. Effectively, they give the manufacturer a chance to raise prices in case the demand is higher than expected (as is the case here). However, I've noticed that 50% of the time, introductory prices aren't changed. Reason? Warm or cold demand. 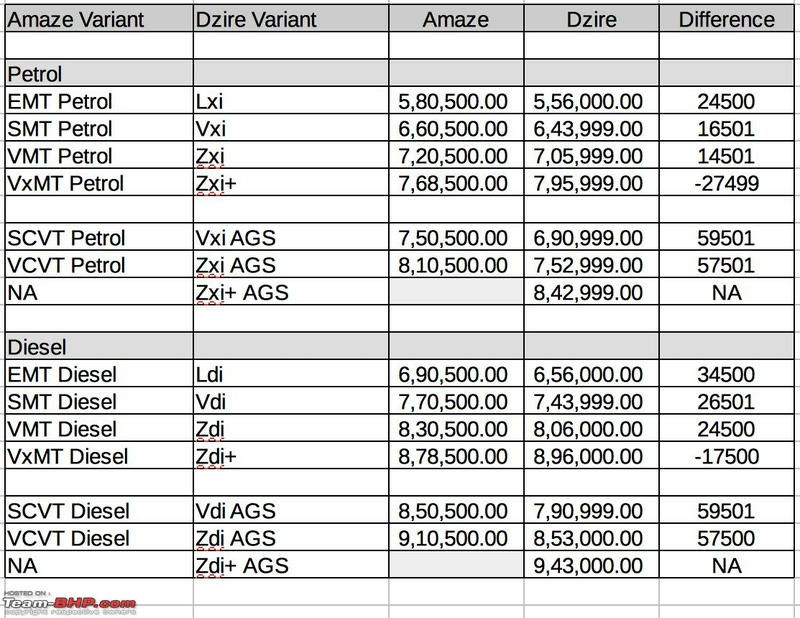 Dispatches 19970 units, of which Amaze contributes to more than 50% of total sales. Amaze sales will only go up in August, as the month marks festival season in various regions in India. I'm very happy to finally see a competition for the Dzire. Monopoly of any sort is not good for the customers. 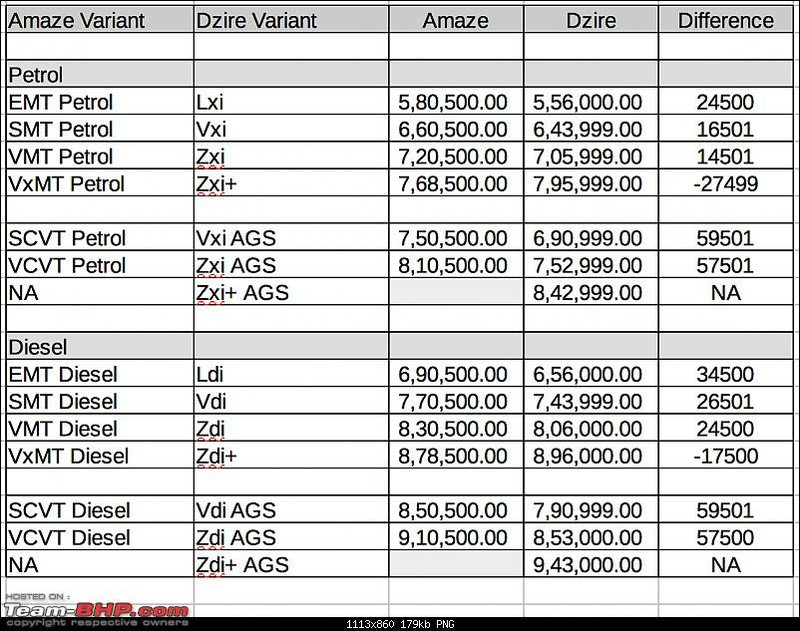 But when you see the sales figure of Dzire it will show no effect of Amaze. Need to see who has been affected in terms of volumes, likely to have cannibalized City's volumes to a large extent. Dzire has currently a waiting period of 3 weeks. Absolutely true. But I'm sure Amaze has taken at least a tiny bite from Dzire's pie. And Maruti being Maruti won't be at peace now. Absolutely agree! this why I feel Honda lost an opportunity to position the Amaze as a baby Honda City (same design would have been fine but with more features and a detuned 1.5L petrol also) and then pushed the boundaries with the all new 2020 Honda City. I feel that Hyundai's Creta (SUV + super engines + very good interiors/features) has emerged as the default premium option for the customer - an enviable position the City enjoyed for many years. 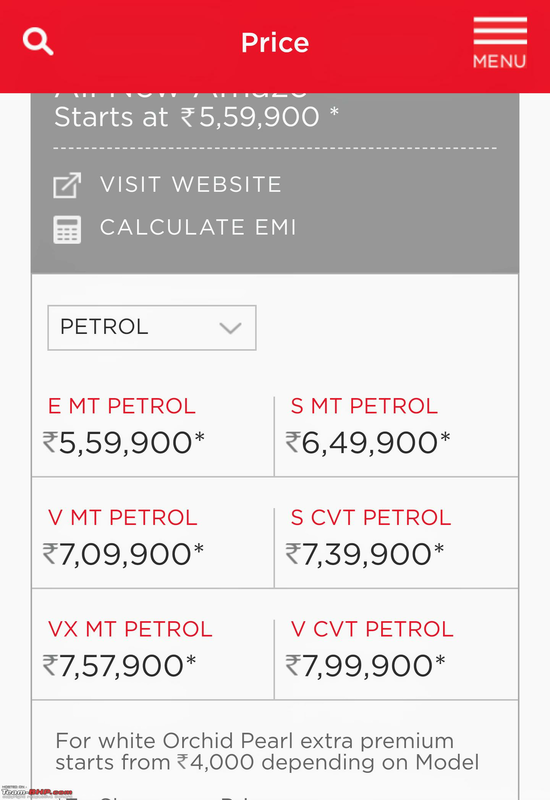 Personally, If my usage was a 80:20 mix of City and Highway @ approx 10-12,000 km a year - I wouldnt waste my money on the City but go for the Amaze Diesel CVT option. 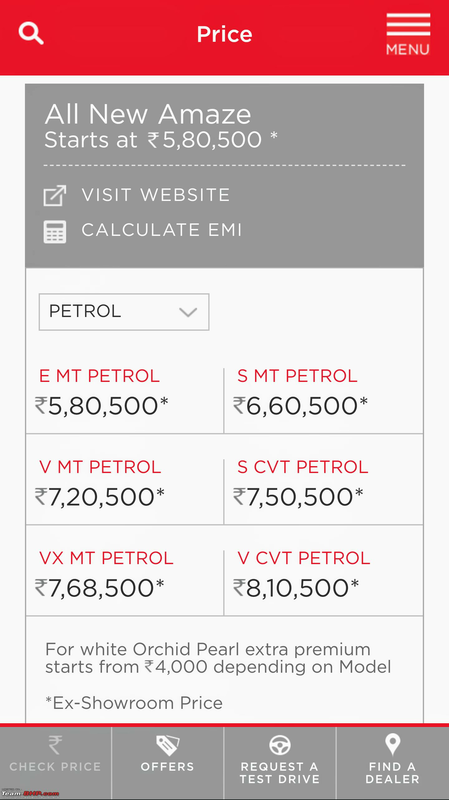 I would consider the gutless 1.2L petrol only in CVT and as a second car/beater for the family. Thankfully Honda has not got too greedy with the Amaze price hike, but I feel there will be another price hike before the end of the year. Superb Review blackwasp. Amazing attention to details. The review well deserves 5 star rating. After going through the review i feel short changed buying Honda City. Honda has pulled rabbit out of the hat with this one. Some features like standard reverse parking sensors are not present in Top ZX variant of city. The car looks amazing inside out. 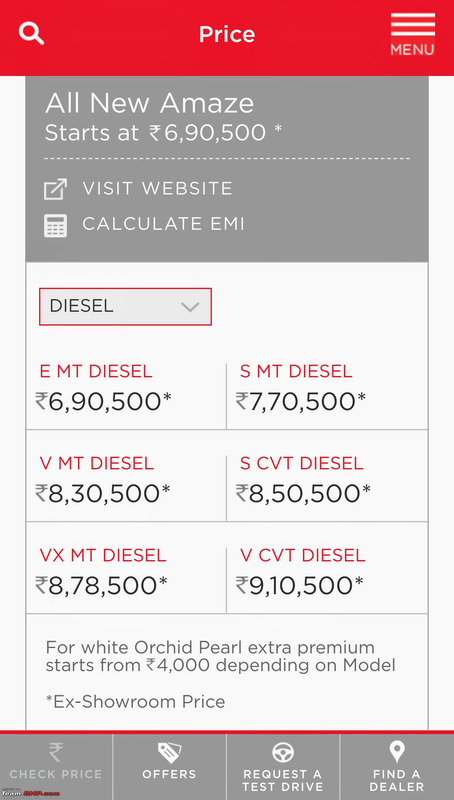 And as per your review Diesel-CVT combo is the best in business. No wonder amaze is doing great numbers. But with honda now raising the price of the car car sales are surely going to be affected. I completely agree with the views expressed earlier that this is a trick of manufacturers now a days. But Honda, who has been loosing top spot across segments to other cars should not pull these stunts. Few customers who are waiting for delivery might pull back to excellent Dzire. I am in my hometown this week and could spot 5-6 new Amaze during my 45 minutes local bus journey today. At one place, it was parked next to a latest City and Amaze does not look out of place at all. Last edited by Latheesh : 2nd August 2018 at 22:14. And this is where Honda gets greedy soon!! They should have kept the prices stable for a longer period of time to give true competition to Dzire. Although the top model of Amaze are cheaper than top model of Dzire, the latter has more kit to offer like LED headlamps, machine cut alloys, better ICE and plusher interiors. 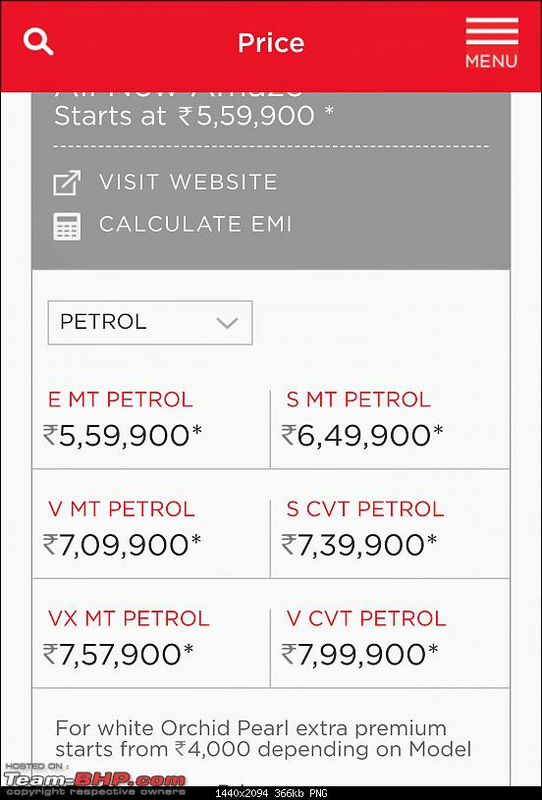 The diesel and CVT combo will help Honda to get numbers but if they continue to hike prices it might backfire!! Just curious -is the Dzire having a better ICE? Amaze with the Digipad 2 is supposed to be pretty good. I think the major difference in the feature list is the projector LED headlights on the Dzire.